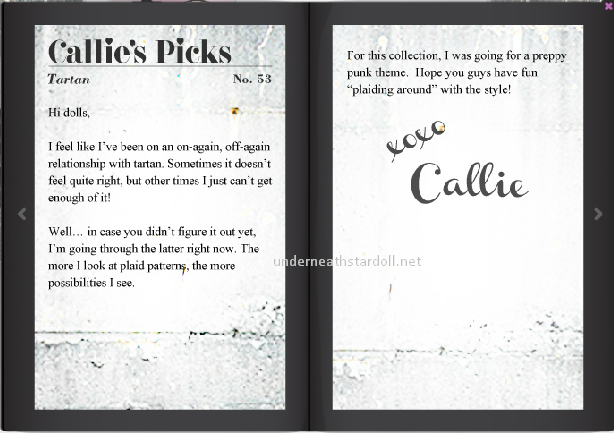 STARDOLL FREE | Underneath Stardoll Blog: New Callie's Picks - "Tartan"
Today Stardoll released new Callie's Picks collection, named "Tartan". Prices range from 8 to 38 stardollars, all items are available for everyone and there are no starcoin items. What do you think about this release? Will you buy anything?